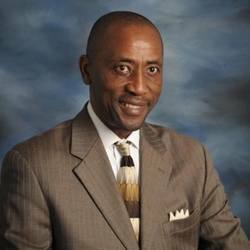 Bennie Bennett, 56, a member of Winthrop University’s first men’s basketball team, a Winthrop Athletics and York County Sports Hall of Famer, and the superintendent of schools for Newberry County school district, died in a crash early Saturday evening in Newberry. Former Winthrop student-athlete and Hall of Fame member Janiva Willis died in an automobile accident Tuesday night near Van Horn, Texas. Bennett, who played from 1978 through 1981, was the first Winthrop men’s basketball player to score 1,000 points in a career. He is ninth on the all-time list with 1,298 points. He still ranks in the Winthrop career top-10 lists in field goals made, free throws made and assists. During Bennett’s three-years, Winthrop compiled a record of 73-31, and during his senior season the Eagles finished with a 31-8 record, still the most wins in school history. The collision occurred at 6:26 p.m. on S.C. 219 near Newberry High School, the coroner said, as Newberry County Sheriff's Deputy David Brandt was responding to a call for assistance at a traffic accident on I-26 near the Newberry/Lexington County line. According to the Newberry County Sheriff’s Office, Brandt was traveling north on S.C. 219 with his lights and siren on. As he approached the intersection of the driveway to Newberry High, a vehicle driven by Bennett entered the highway from Chapman Drive and the vehicles collided, the sheriff’s office said. .
Bennett was ejected from his vehicle and died immediately, Chief Deputy Coroner Lewis Lee said in a statement.